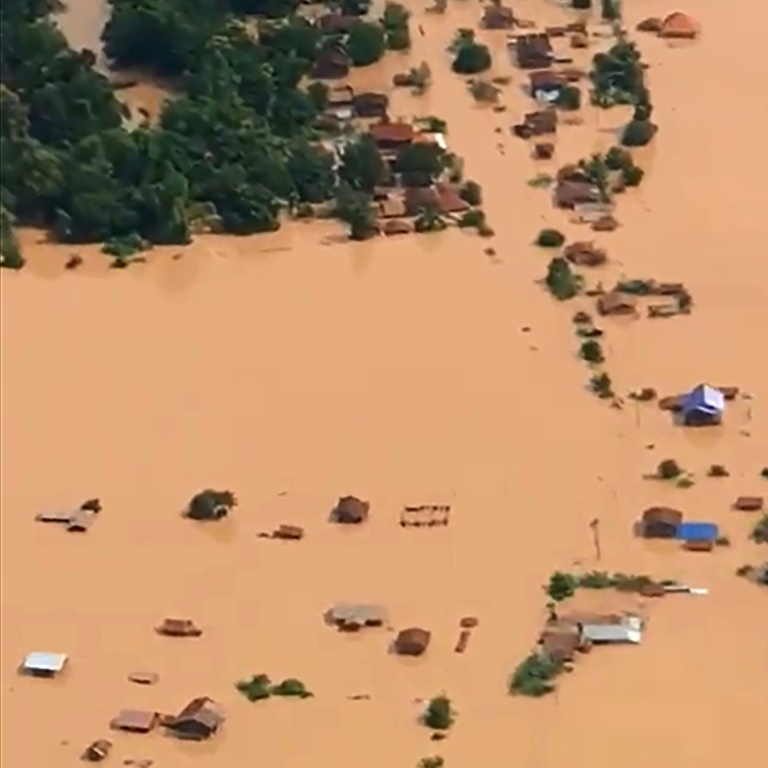 SEOUL: The South Korean partner in a Laos hydropower dam said Wednesday it discovered the upper part of the structure had washed away 24 hours before it collapsed, engulfing villages and leaving hundreds missing. The wall of water unleashed Monday by the failure of the dam in the country’s southeast surged downstream, sweeping away homes and leaving an unknown number of people feared dead. “We immediately alerted the authorities and began evacuating (nearby) villagers downstream,” it said in a statement. Repair work was hampered by heavy rain which had damaged roads, it said, and early on Monday water was discharged from the Xe-Namnoy dam — one of the two main dams in the project — to try to relieve pressure on the auxiliary structure. “Currently, SK E&C is actively working on personnel recovery and damage relief with the Laotian government,” it said. The $1.2 billion dam located near the border with Cambodia is part of a project by Vientiane-based Xe Pian Xe Namnoy Power Company, or PNPC, a joint venture formed in 2012 between a Laotian, a Thai and two South Korean companies, according to the project’s website.